When it comes to storytelling in procedurally generated games, many people will form their own tales using the system presented to them. Think of the countless role-playing servers in Rust or the players who create custom adventure maps in Minecraft. Procedural generation is when data is created according to an algorithm rather than manually by a developer. It can be engaging for players as the randomness of the system can create uniquely unpredictable experiences. For example, many roguelikes feature randomised level layouts and also use these variables for item and enemy spawns. If we take that type of system and put into the context of a homicide scene, we're left with Murder Mystery Machine. In Murder Mystery Machine (title subject to change), players must think like a homicide detective as they are presented with a murder to solve. 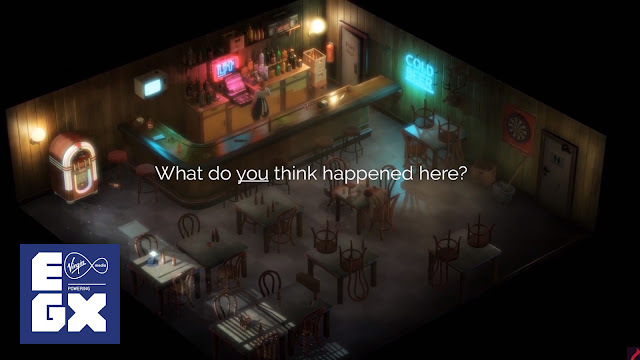 Players begin each playthrough at the start of an investigation, where they must explore the crime scene, collect evidence and interview person-of-interests. Connections are made via flowcharts in which you'll pair suspects, motives and murder weapons together. The who, the what and the why is randomised each time you play; I played the demo twice and the results wildly varied. The first one ended in what I believed to be a mob killing, whereas the second ended up as a suicide. Although still an early work-in-progress, the game showed massive potential. People are either going to love procedural generation or hate it. I think leaving a short but complex narrative down to an algorithm can put off those who prefer hand-crafted experiences on the level of Agatha Christie or Stieg Larsson. But for me, I was really intrigued by the formula Blazing Griffin presented and I was keen to know more. It turns out the Scotland-based studio has prior experience in creating murder-related games, having been responsible for The Ship: Remasted and the recently released Murderous Pursuits. I spoke to Pete Low, one of the developers behind Murder Mystery Machine to gain some insight into how the project came about. Olly Writes: Hi Pete, thanks for talking to me about this game. Could we start by perhaps discussing a bit about where the idea for it came from? 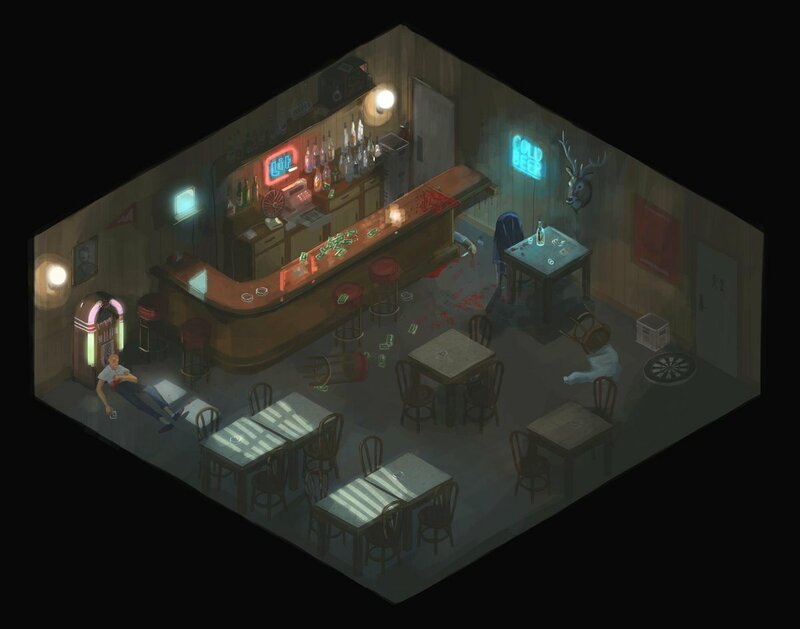 Pete Low: The inspiration came from us exploring the murder mystery space, not just in games but in general. It's quite a popular one. One of the things we noticed in book shops was the fiction section is almost entirely made up of murder mysteries, so we were really into that idea. We felt that the murder mystery space was difficult to reach particularly in indie games, so we started looking at the stuff that was out there. Games such as Papers, Please and Her Story are examples of games existing in this space that were successful, but they were focused on one main mechanic. So we began thinking, "has anyone approached this from a higher level approach to detective work?" I think the thing that causes these types of games to struggle with is there's a lot of mechanics you can get bogged down with. When you get into CSI-level investigative work and you're looking at forensics and all the details, you're suddenly looking at a lot of mechanics that you have to get right. So we were already watching a lot of detective shows on TV like True Detective and Mindhunter which we were really into at the time. OW: I noticed a David Lynch quote at the beginning too so I was thinking Twin Peaks. PL: Yeah, that too. Mindhunter in particular though. It's about two detectives that sort-of coined the term 'serial killer' and the work that leads to that, and one of them is this very young profiler and his partner is the older, more experienced detective. They go around the country and talk to police officers about their work and criminal psychology and how it can be an important part of what they do. And they end up going to a bar or something and talking over the evidence of something the local police force has. And then this young psychologist listens to the evidence they have and then he comes up with this story. This plausible explanation, but because he has a background in criminal psychology, he thinks of things the police force wouldn't necessarily think of. So we really liked this idea that you start the investigation literally by almost guessing as to what happened. And that gives you a starting place to investigate it. So we start each game session on the dead body, and then as we pull the camera out, small prompts of evidence will pop out at the player to help get that story going. It'll get players thinking, "okay, maybe this happened. Or this." It's just that initial beginning point to start your investigation is really interesting. When we were prototyping the game, we would take a still image of the crime scene and literally just go around the office asking people what they thought happened. Amazingly, you get so many different stories. So that was our starting concept. OW: Was the idea for procedural generation always there or was it a key part of development from the get-go? PL: That idea came about for a few reasons. We've taken a very abstract approach to the storytelling which saves us the time of working out really long stories. We could tell really long stories. We have lots of ideas, but we want you to tell the story instead. So when you go into the main detective workspace, dragging and linking all the main evidence, it's really you telling the story. One of the most interesting things about showing it here at EGX is we're watching everyone's detective workspace as they put it together and it looks really different. Everyone sorts information quite differently and that's a form of storytelling in and of itself. OW: So I guess it's important for players to think for themselves rather than having the game give hints. OW: How do you find the right balance? PL: We're just discovering it now. We're watching people at this show, seeing how they explore this space and put the evidence together. It really is about you telling the story and there's this idea within detective fiction that there's really two stories. There's the first story which is the literal events of the murder, and then there's the second story which is how the detective interprets the evidence that they find. So you could put multiple detectives on the case. You put in a Poirot, an Agent Cooper, a Sherlock Holmes etcetera, and they may all come to the same conclusion but their stories will be different. Because their experiences are different. That's really what it's all about, them filling in the blanks. So we're really trying to encourage this type of thinking in the player. OW: So we only have the bar in this demo but will there be other locations in the full game? PL: Yeah, absolutely. That's the potential with this idea. We can do multiple types of themes and locations. We could go science-fiction if we wanted to and we've also talked about doing stuff set in the past. So it really gives us a platform to explore any type of theme or space in the genre. Right now it's an American modern noir because of our current influences. OW: So from what I've seen, it really is about putting players into the role of a detective. Not just by controlling a character but by actively encouraging some intuition and thinking. PL: That's the challenge with this genre. It's like, how can we make the player feel like a detective. I don't think many games have approached it from this level. We think it's much more about storytelling than it is about getting bogged-in on the deeper mechanics. I think it's going to be something quite different. 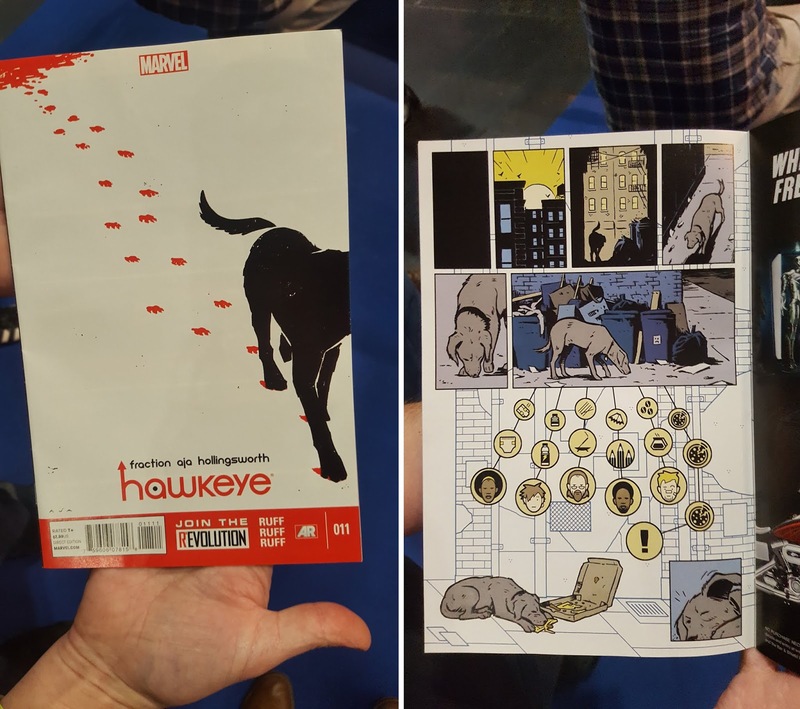 Pete then showed me a Hawkeye comic book (pictured above) which used a similar flow-chart system as the one the player will use in Murder Mystery Machine to link evidence together. I think what Blazing Griffin has here is something unique and refreshing, and the emphasis on having the player think like a detective creates a new form of storytelling in these types of games. Although it is still a prototype, I can't wait to see how the game develops.